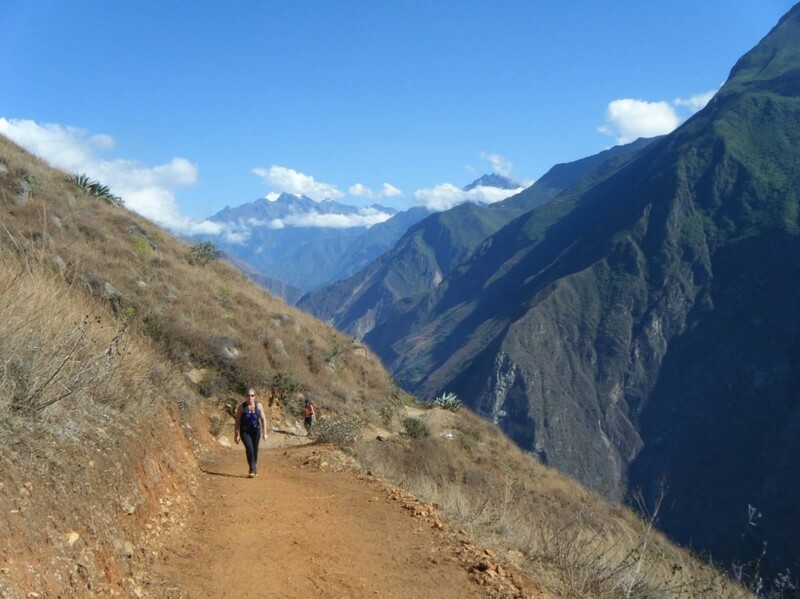 It is not an easy trek – totaling 64km round trip (though 24k of that can be lopped off by driving the new road from Cachora to Capulliyoq instead of hiking it) and has two massive climbs of over 3,000 feet straight up from the Apurimac River. Most people get pretty exhausted doing this trek so do come prepared. Staying hydrated is very important so be sure to bring plenty of water. 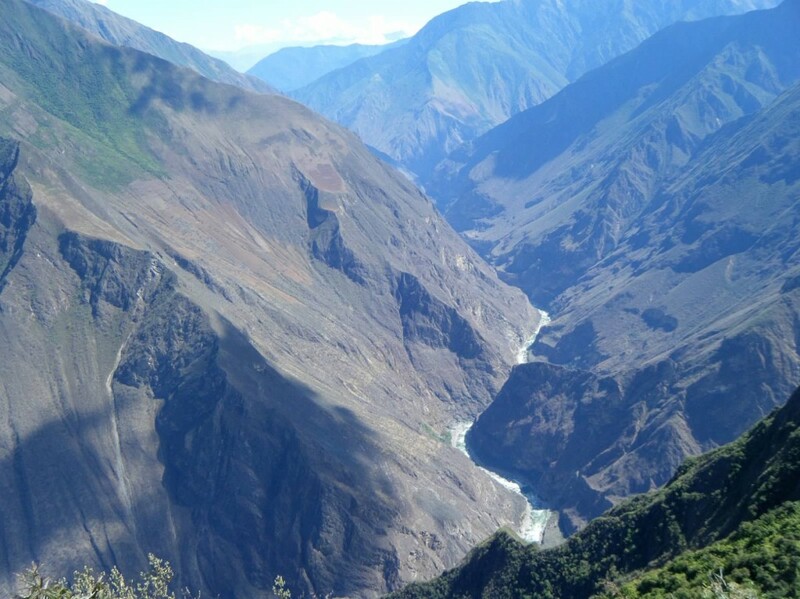 Arriving to Capuliyoq, one is greeted with an absolutely incredible view of the Apurimac River, the surrounding mountains, and for the sharp-eyed, even a view of Choquequirau itself. It is easy to be psyched out by the forboding mountain that must be climbed to reach it, so maybe best to just focus on the pretty scenery ! 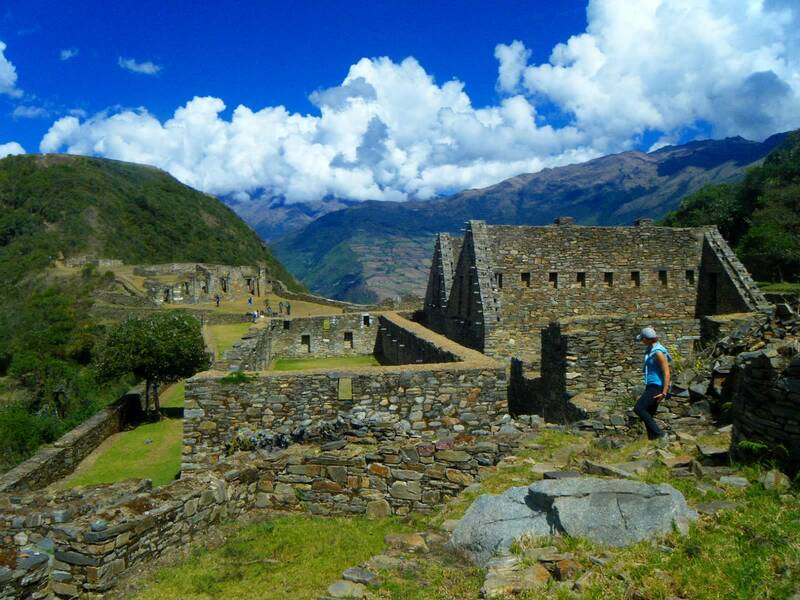 Hiram Bingham visited Choquequirau before he ‘discovered’ that other major Inca ruin, Machu Picchu. The route from Cachora is the way that Bingham and his team took when they visited in 1909, and the trail has recently been widened and smoothed out a bit allowing the journey to be a bit easier and safer. (But don’t worry, it is still an extreme adventure). In 2011 a landslide took out the bridge crossing the Apurimac river, and for one exciting season travelers reluctantly crossed instead on a dodgy setup of cables, being ferried over whilst hanging one leg into a loop made out of a local vine. (No, we’re not kidding !). Fortunately in 2014 the bridge was replaced and it is now a more reasonable endeavor to cross the river. 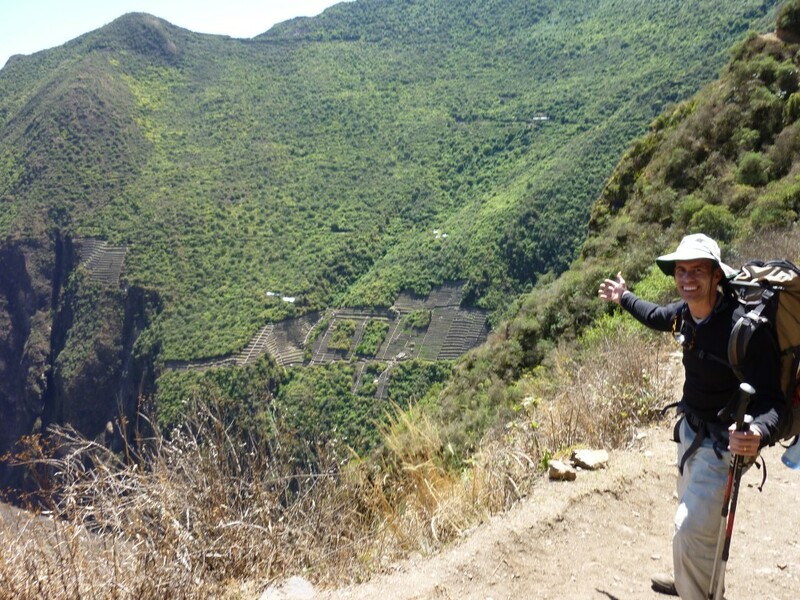 On the approach, some of the Incan terraces can be seen from across the valley. 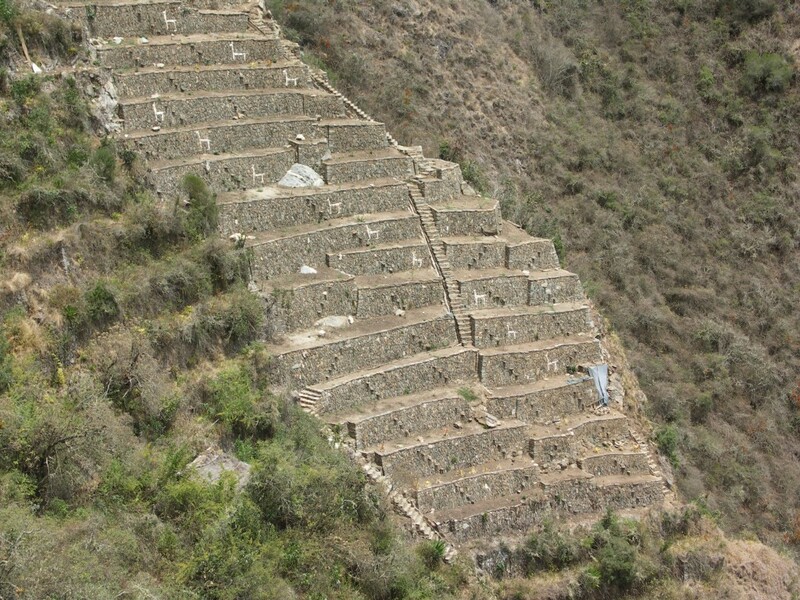 These terraces, built to hold crops to provide food for the local inhabitants, are situated on an incredibly steep mountain. Looking at the terraces from this perspective, it is difficult to imagine how they would have constructed them The best part is that the excavations of this mountainside have only begun, it is a certainty that there is much more awaiting to be discovered under the thick jungle vegetation. 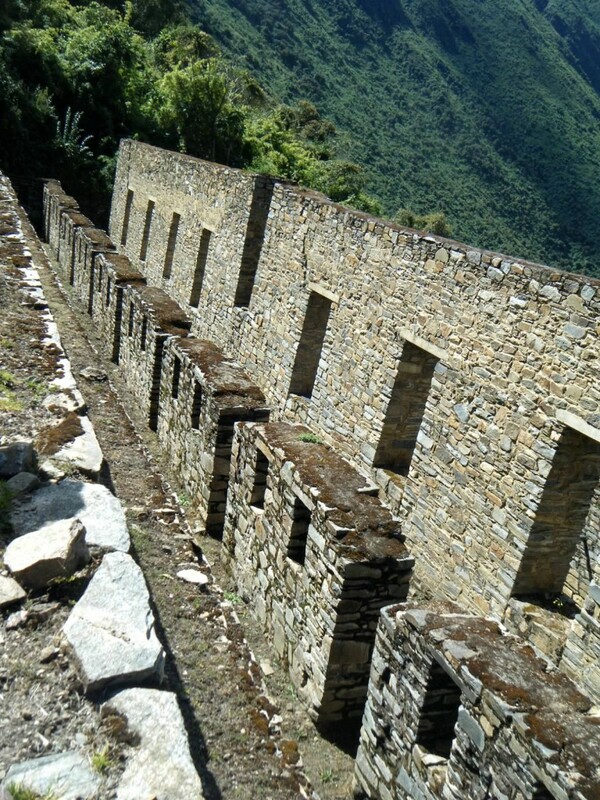 Choquequirau was likely built by the son of Pachacuti (the builder of Machu Picchu), who aimed to build a majestic palace to rival that of his fathers. 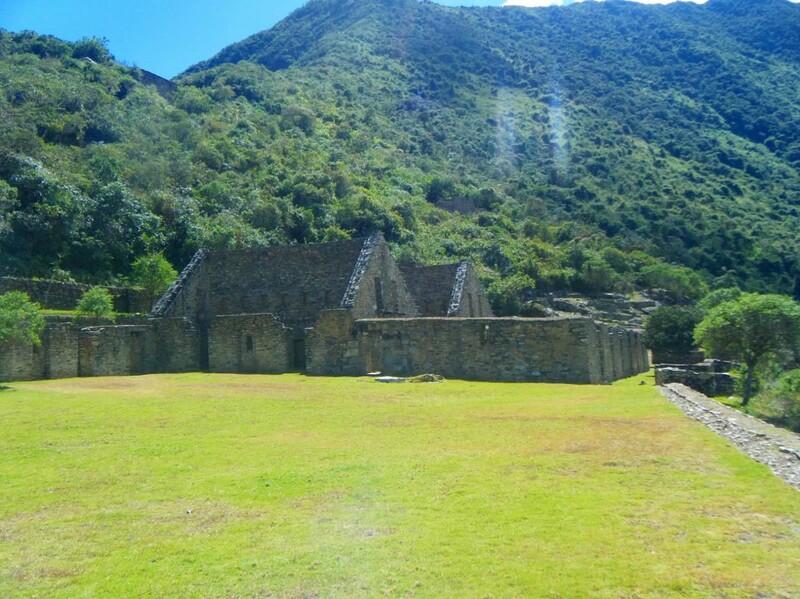 Although the stones to be found in this area are not conducive to to the same type of massive stone slabs found at Machu Pichu, Choquequirao is nonetheless an amazing place to visit, and best of all does not have the huge crowds of tourists that Machu Picchu does. Like most Incan sites, there are great views in all directions and the overall sense of the place is very large and tends to leave one in awe. It is a great place to just wander around and check it out on your own, there is plenty of space and always a hidden surprise if you look closely and are paying attention. Perhaps the best part of the trek is the part known as “Las Llamitas”, or, “The little llamas”. These mysterious terraces contain life size reproduction of llamas, created by setting in small white stones that contrast with the darker background stones. There is a small viewing platform built so as to be able to fully appreciate the incredible engineering that went into building these terraces, all by a society that supposedly did not have a form of writing. 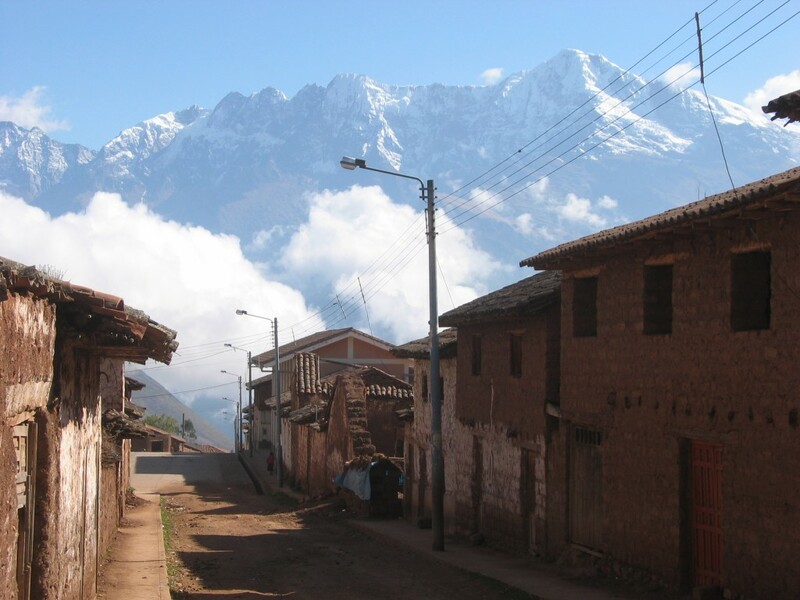 For the truly adventurous, instead of returning back to Cachora the way you came, there is a route that goes 4 to 6 days further into the mountains, passing through some of the area’s most remote and spectacular scenery before arriving at that other place,, Machu ….. something or other. But that journey is for a different post ! 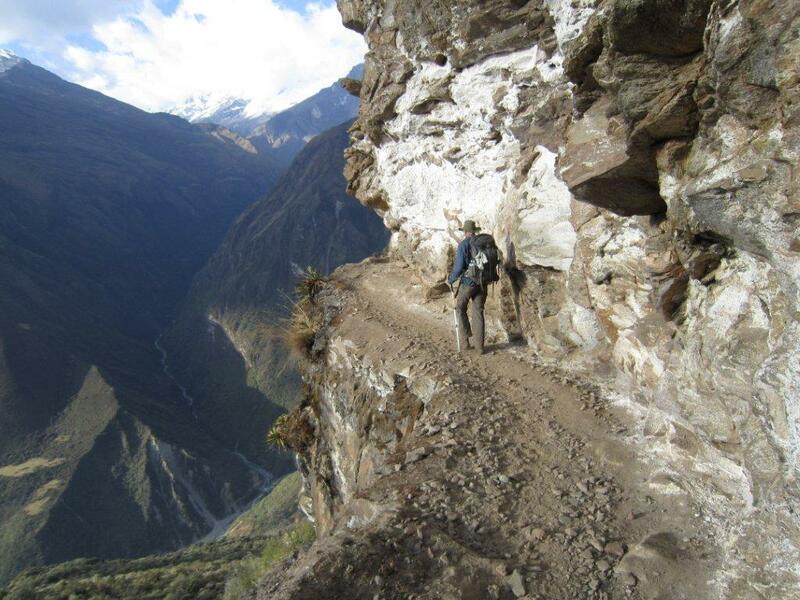 Email us today at kbperu@hotmail.com for more information on this truly once in a lifetime trek. 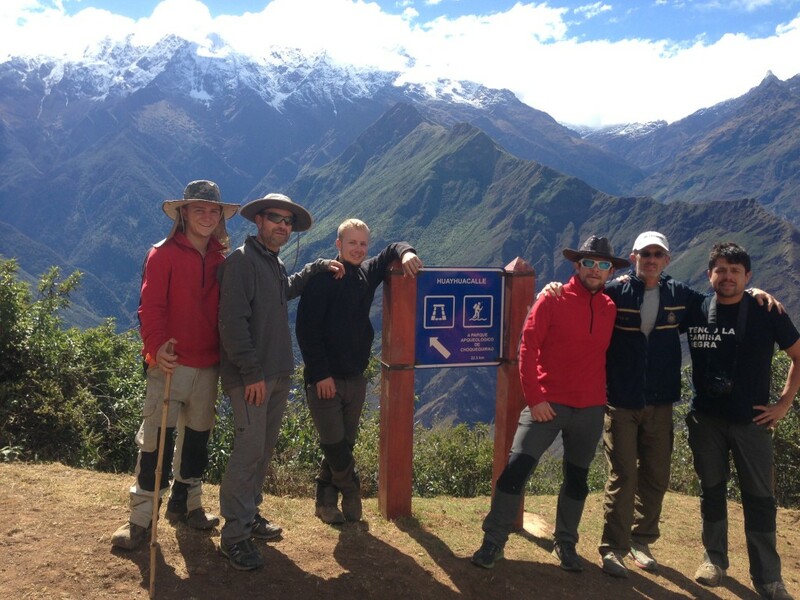 © 2014 Trekking Peru | Peru Trekking | Trekking Machu Picchu All right reserved.